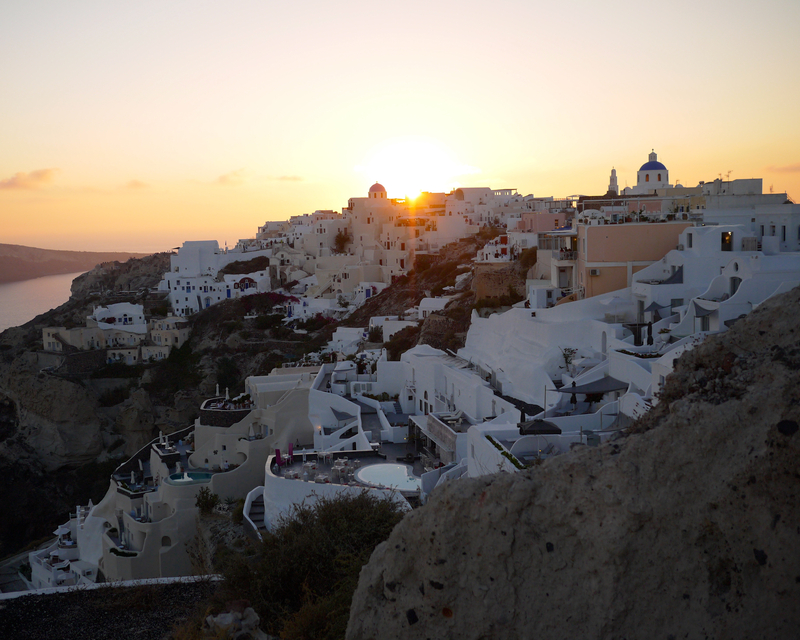 It’s rumored that Oia has the best sunsets on the island. 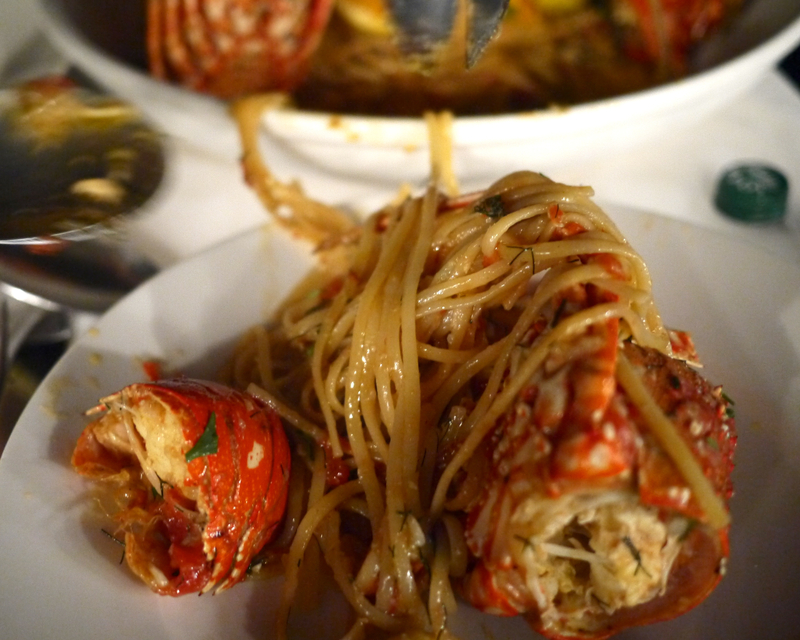 Curious to see what all the fuss was about, we decided to head over before dinner. 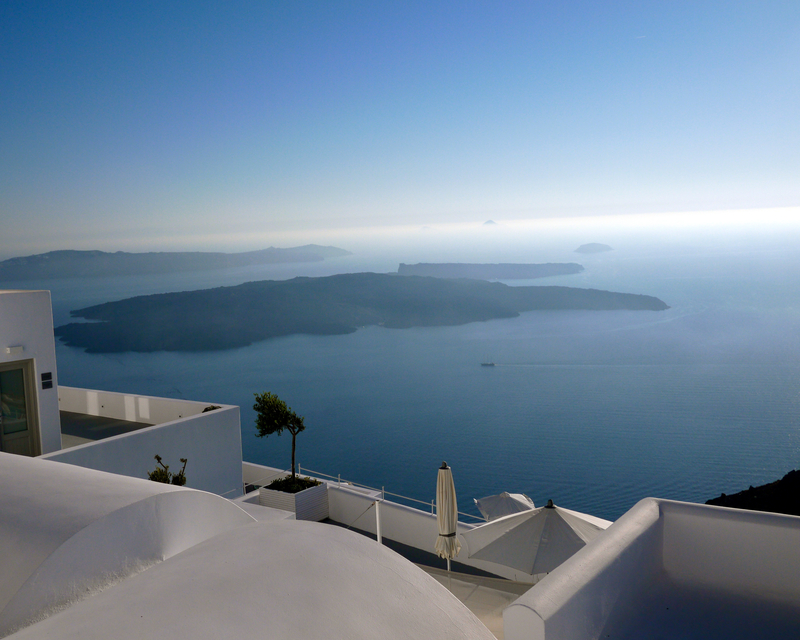 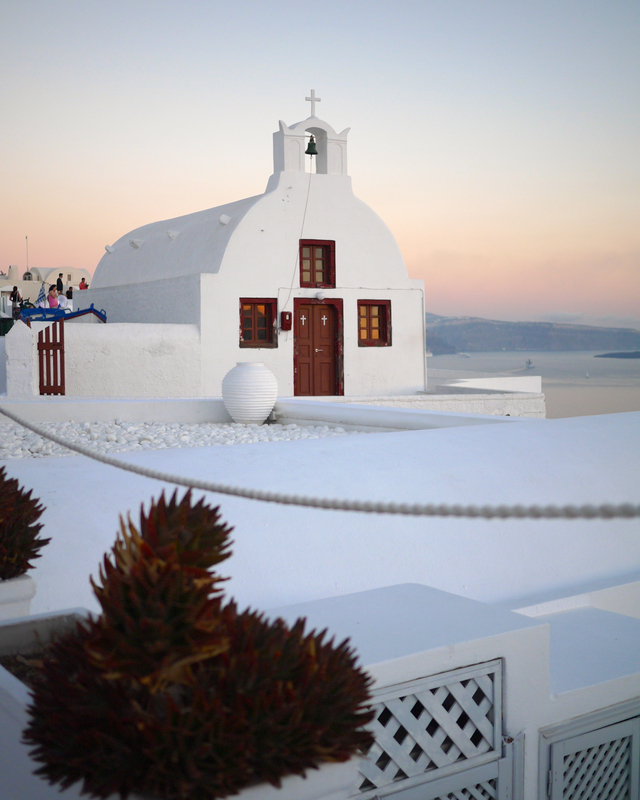 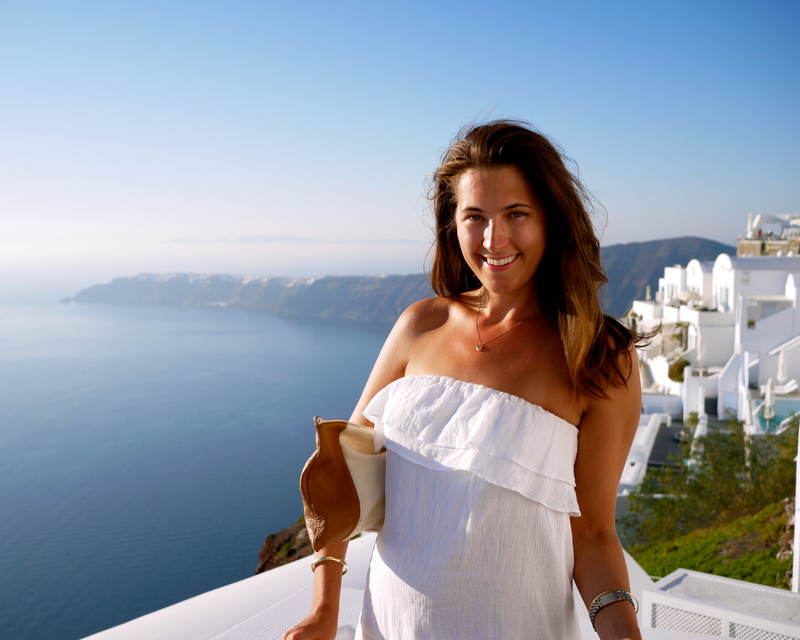 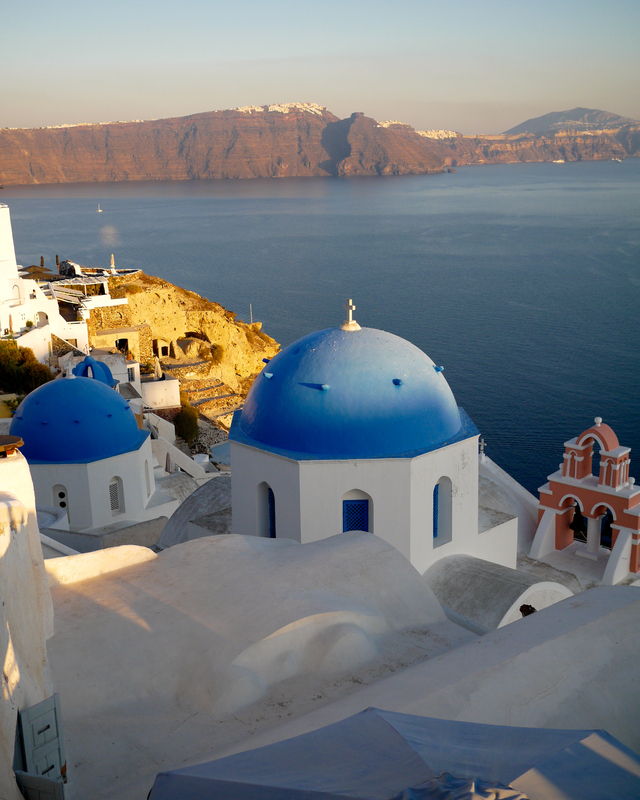 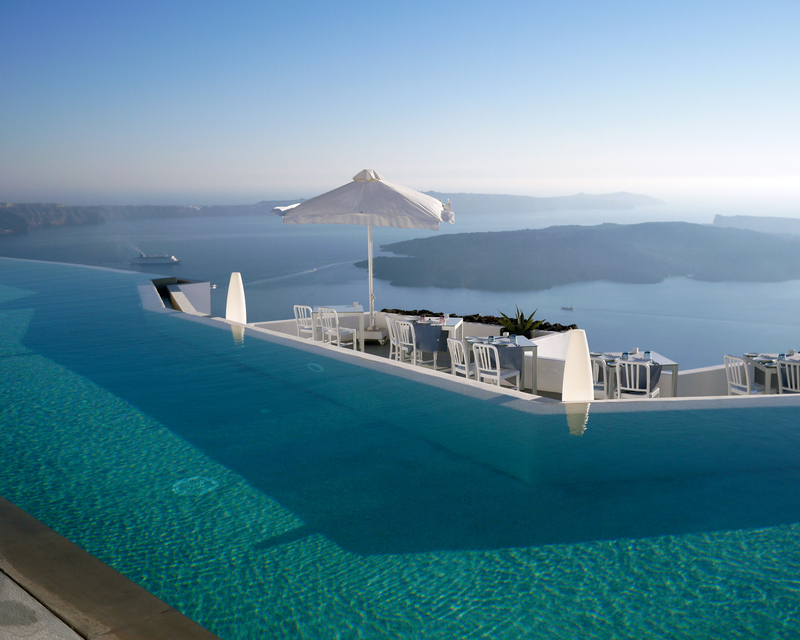 Along the way, we paid our friends at Grace Santorini a visit atop the vertigo-inducing village Imerovigli. 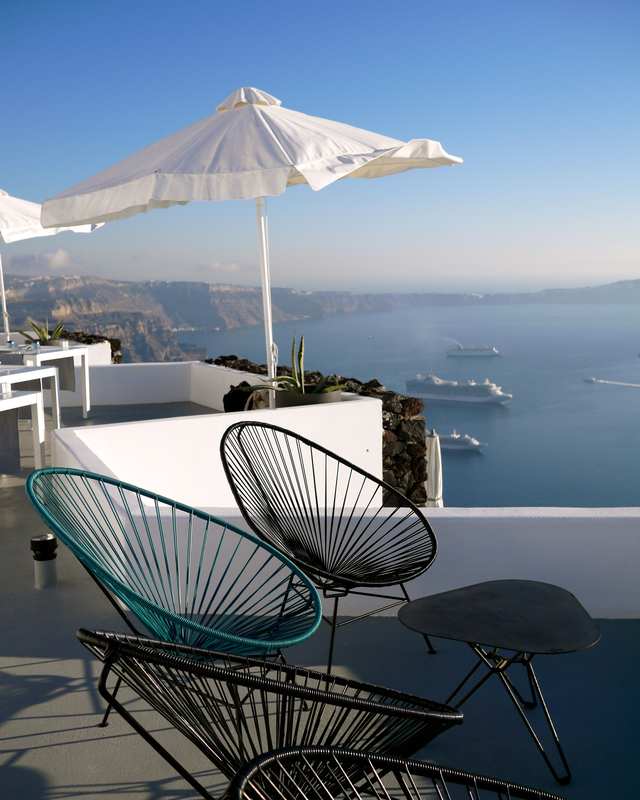 Keeping cool with a saffron mango margarita by the pool, I was able to take in the jaw-dropping views of the Caldera. 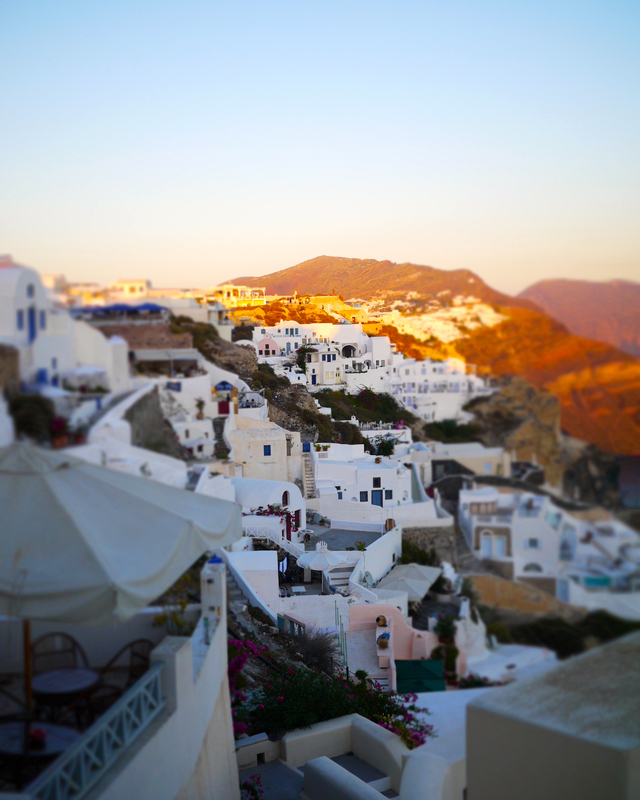 We arrived in Oia just in time to witness the mad rush of tourists (some of them literally stampeding) down to the tip of the island where throngs assemble every evening to await the sunset. 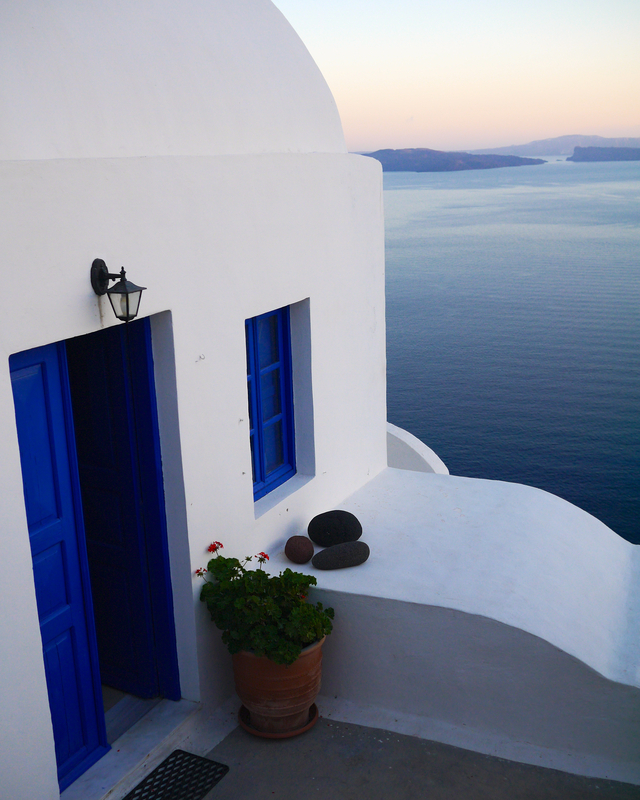 We shied away from the crowds, opting instead to take advantage of the suddenly deserted streets. 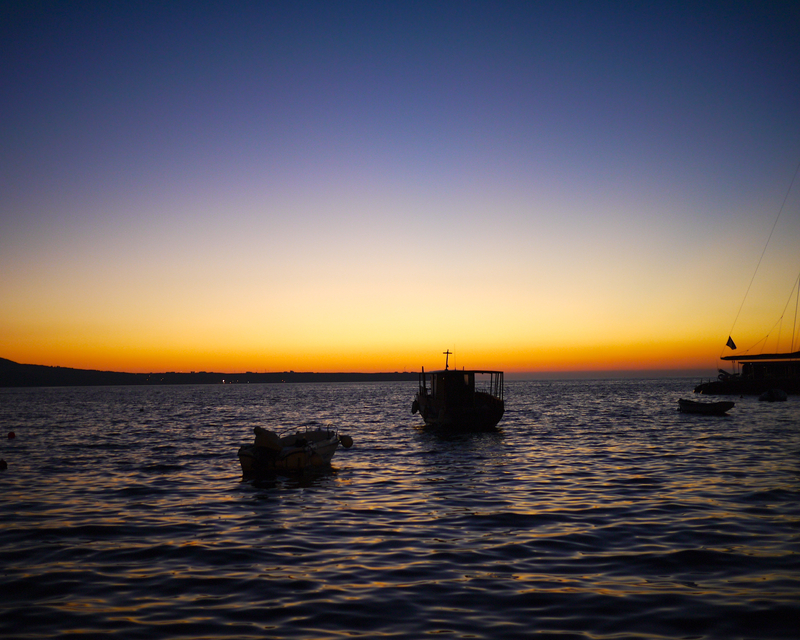 We wandered around watching the fading glow of twilight bounce off the town. 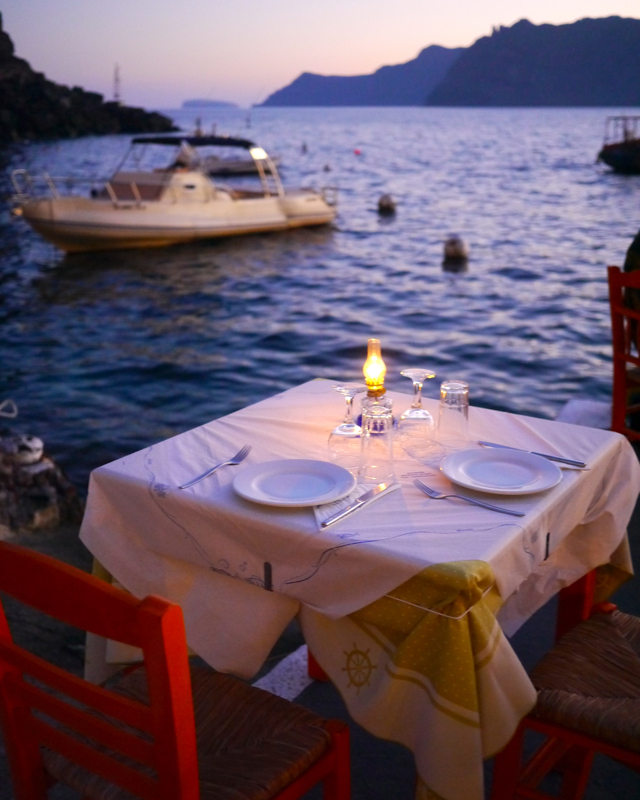 With dusk upon us, we wound down the coastal road to Amoudi Bay for dinner at Sunset. 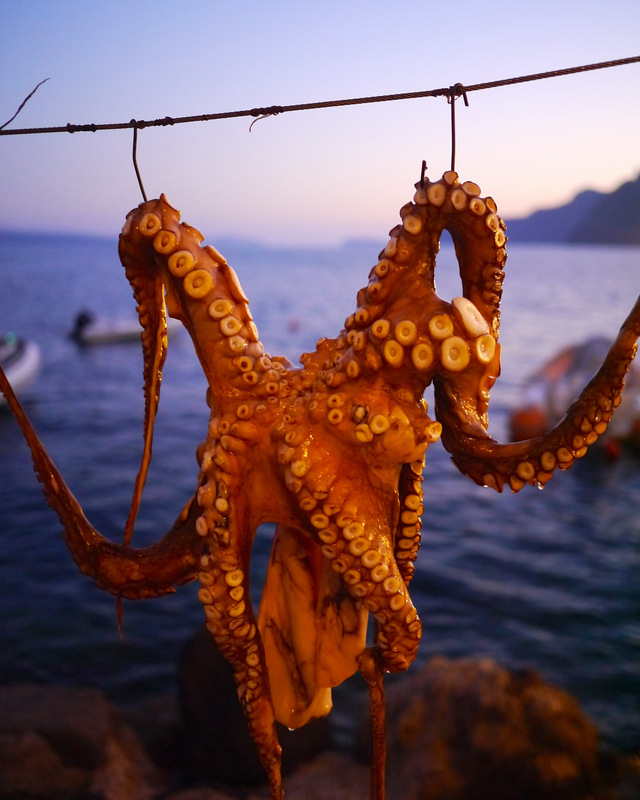 We heard about it in our trusty copy of Where Chefs Eat, but this place is no secret. 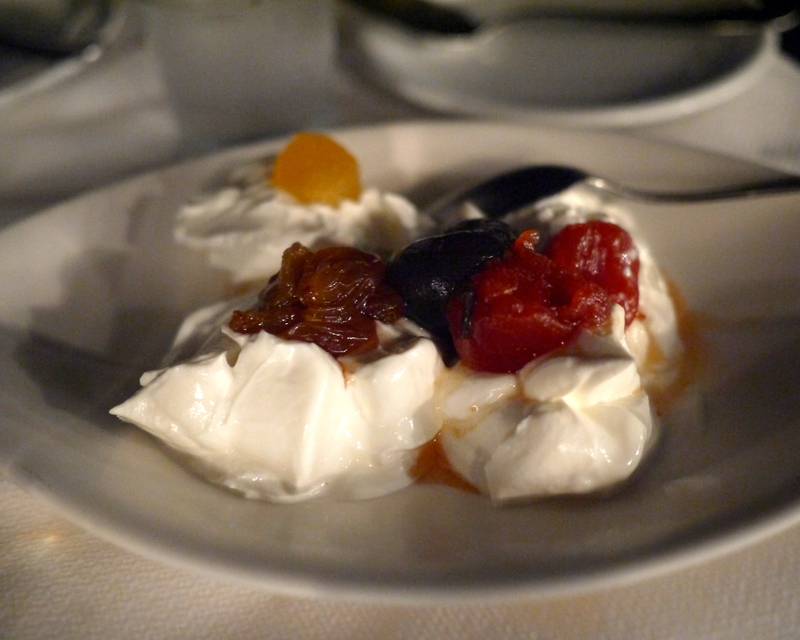 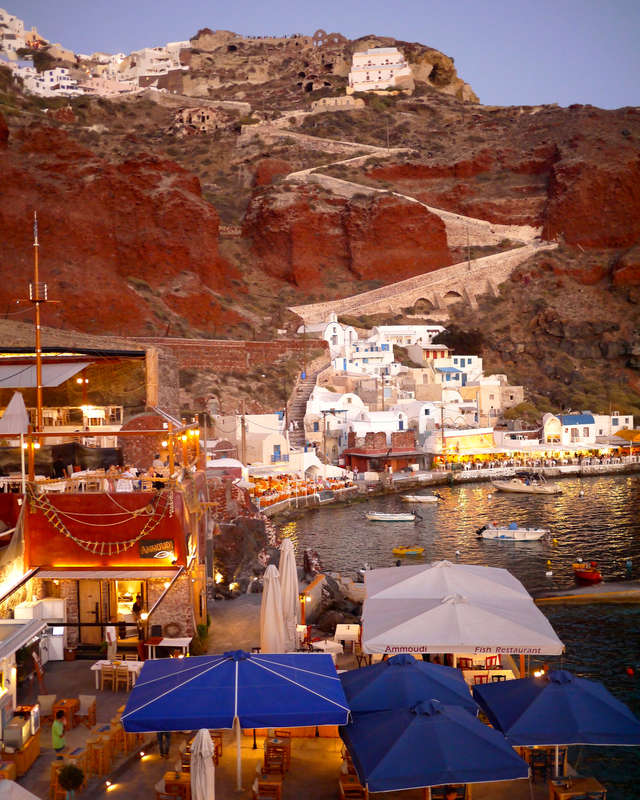 Reviewed in the New York Times and featured on Travel Channel, it’s one of Santorini’s most famed dining spots. 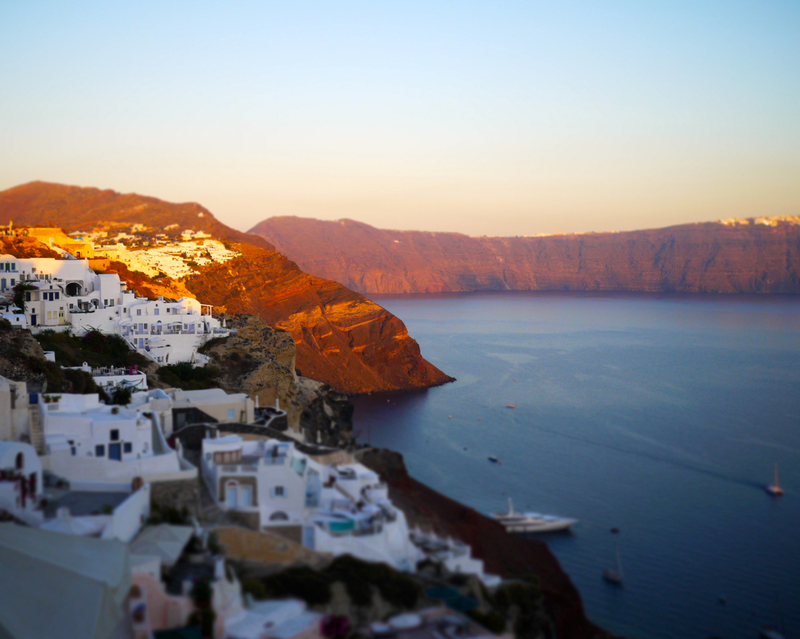 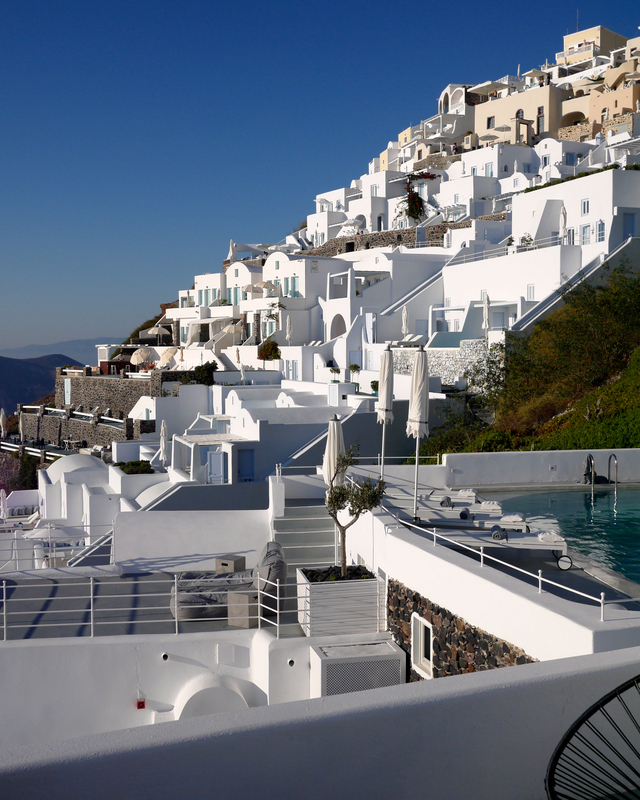 Nestled at the base of the cliffs with the gleaming white villas of Oia above, Sunset sits on the edge of a twinkling bay. 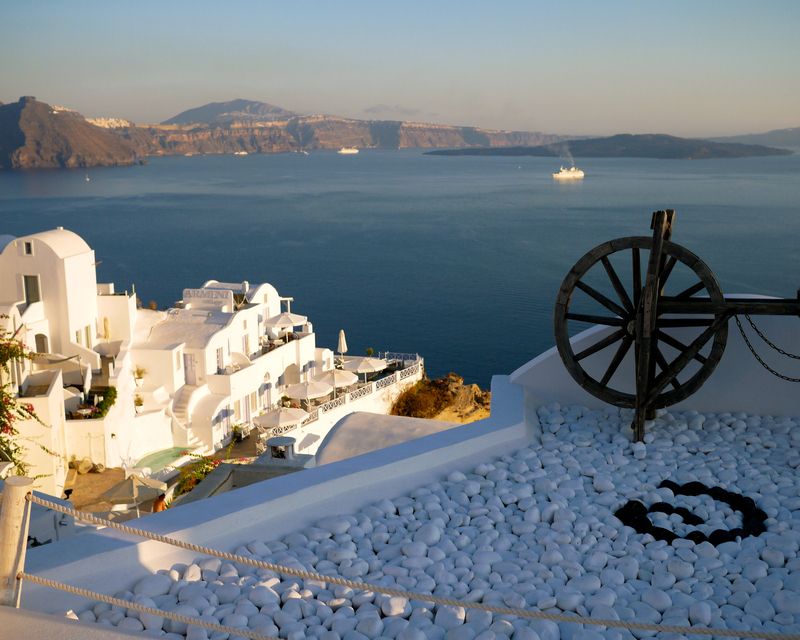 As we walked to our table, little fishing boats were returning to the cove and coming ashore with their catch. 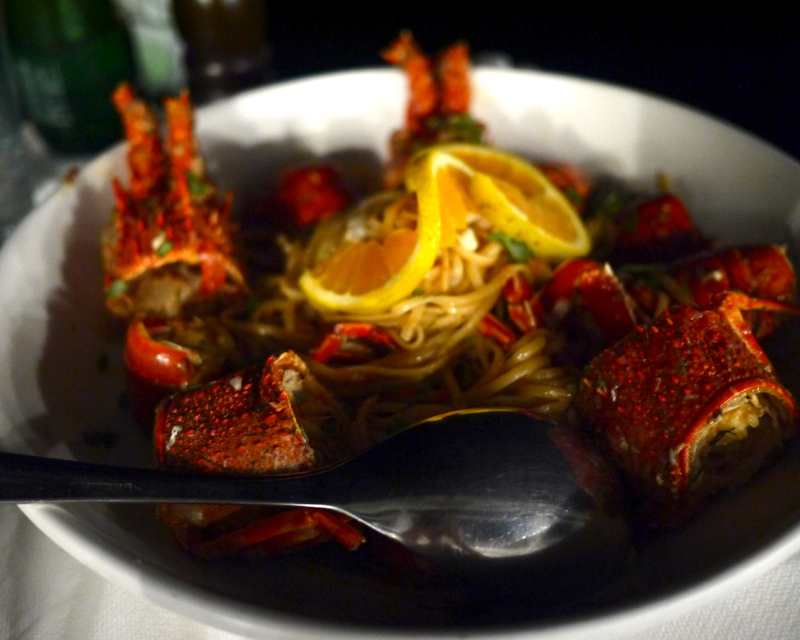 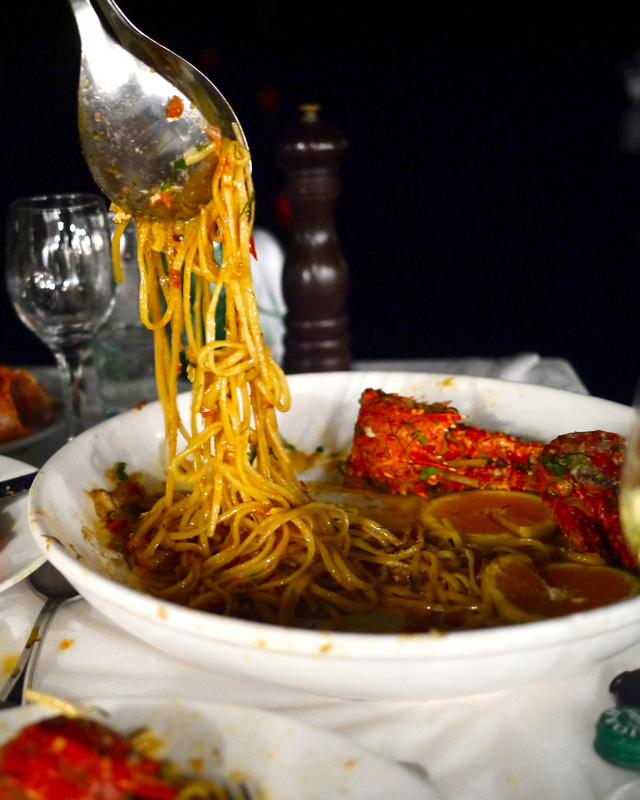 We sat right on the water and shared the Sunset trademark dish – lobster pasta. 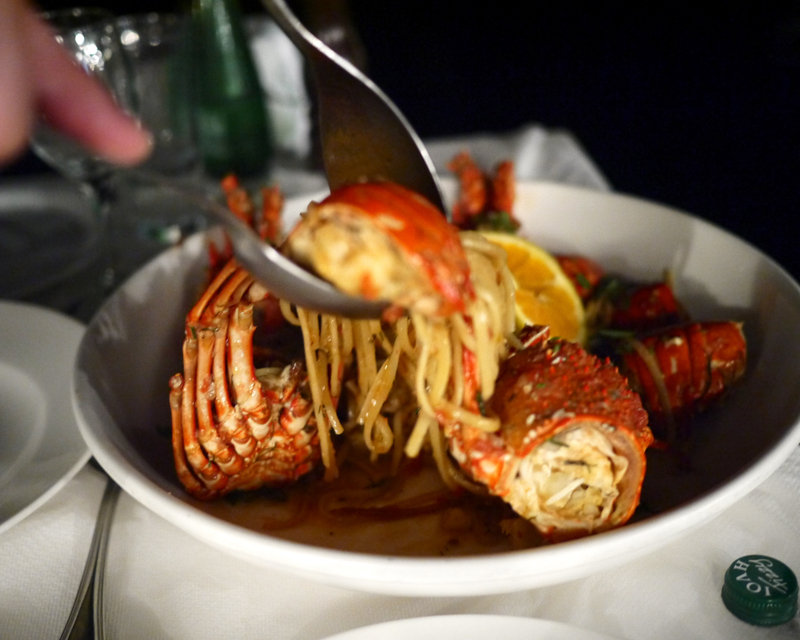 I wouldn’t be surprised if this dish was a favorite of the Greek gods themselves. 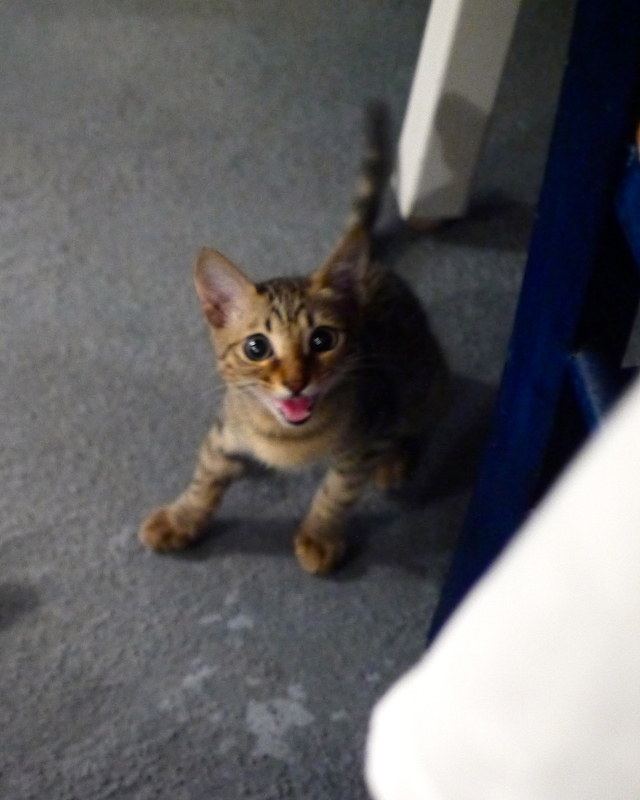 The restaurant insists the recipe is “top secret.” But word is already out amongst the feline foodies – this discerning lad definitely wanted in on the action. 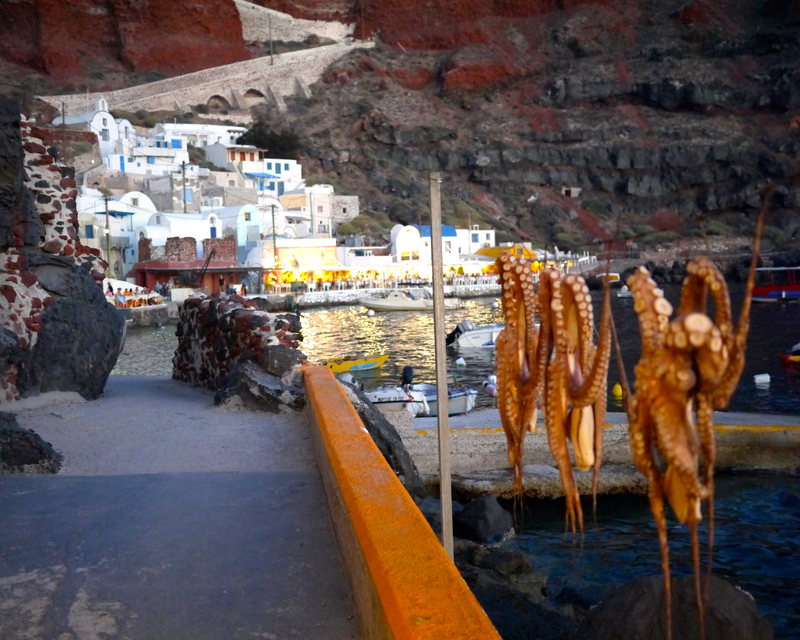 This entry was posted in Food, Travel and tagged American girl in Greece, Amoudi Bay, Caldera, Cyclades, god save the scene, Grace Santorini, Greece, Imerovigli, lobster pasta, Oia, Santorini, sunset, Sunset restaurant, Where Chefs Eat on October 21, 2013 by godsavethescene.